Homes — studio. smart giant. Graphic design, exhibition signage and print collateral for Harley Weir's photographic exhibition - part of Brighton Photo Biennial 2018 - shown at Fabrica Gallery, Brighton, UK September - November 2018. 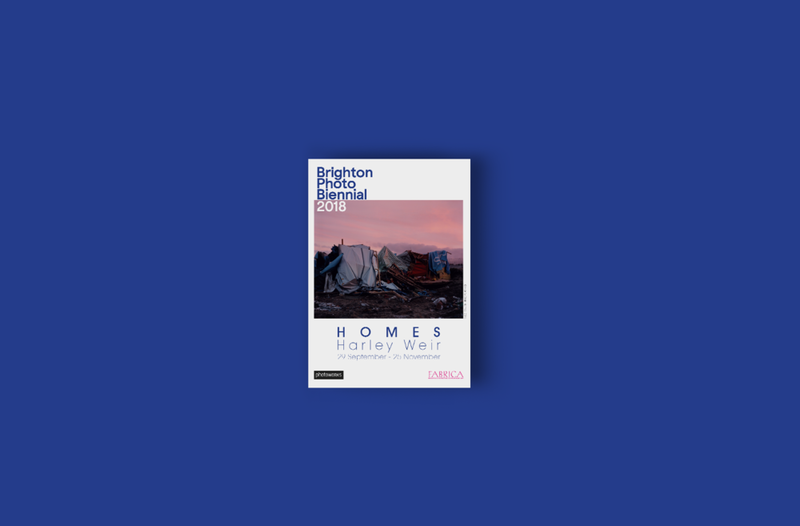 The design references the Brighton Photo Biennial 2018 branding with the addition of several weights Avant Garde to reference the different structures and impermanence contained within the camp.